To some collectors, a watch brand — even one with a proud history — only proves its horological legitimacy when it produce its first tourbillon. 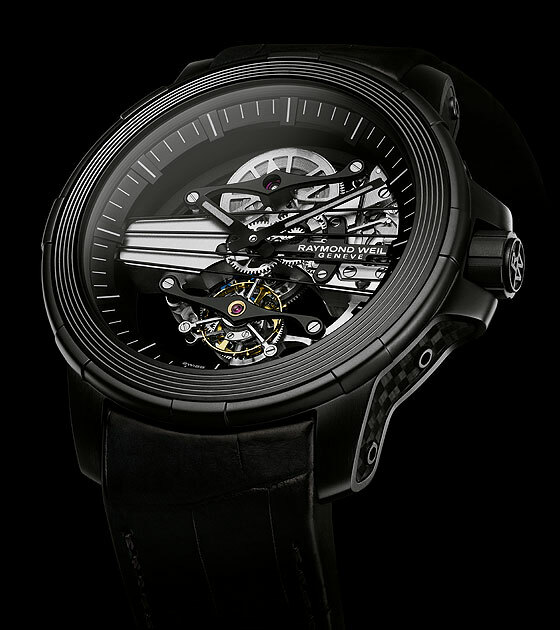 Geneva-based Swiss Raymond Weil joins that prestigious club this year, with the release of its extremely limited Raymond Weil Nabucco Cello Tourbillon. Best of all, the watch still manages to fit squarely into the brand’s long-held value-for-price arena. 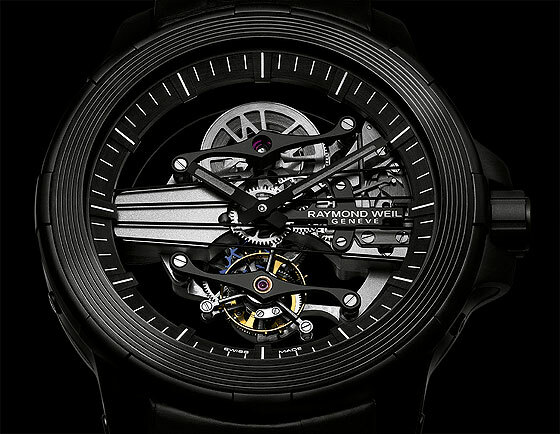 The Raymond Weil Nabucco Cello Tourbillon, of which only 10 pieces will be made, is the brainchild of brand CEO Elie Bernheim, a grandson of company founder and namesake Raymond Weil, as well as an avid music lover and accomplished cellist himself. Music and musical themes have long influenced the company’s identity, from the names of its luxury mens watch collections (the Nabucco family, for example, is named for a famous opera) to its partnerships with concert halls, musical awards ceremonies and music-related charities. The new tourbillon watch incorporates musical themes directly into the design elements of both the dial and the skeletonized, manual-winding movement. The cello theme is evident most strikingly on the front of the watch with four thin “strings” stretched tautly across the dial between the 9 o’clock and 3 o’clock positions, behind the central hour and minute hands and above the tourbillon cage at 6 o’clock. Additionally, the diamond-tipped hands take the shape of a cello’s bow, while the bezel is adorned with five grooved lines representing a musical stave. On the reverse, through a clear sapphire caseback, you’ll also notice the movement bridges, which support the tourbillon escapement and the mainspring barrel, in the shape of a cello’s distinctive f-holes. Speaking of the barrel, it holds an impressive 105 hours of power reserve when fully wound. 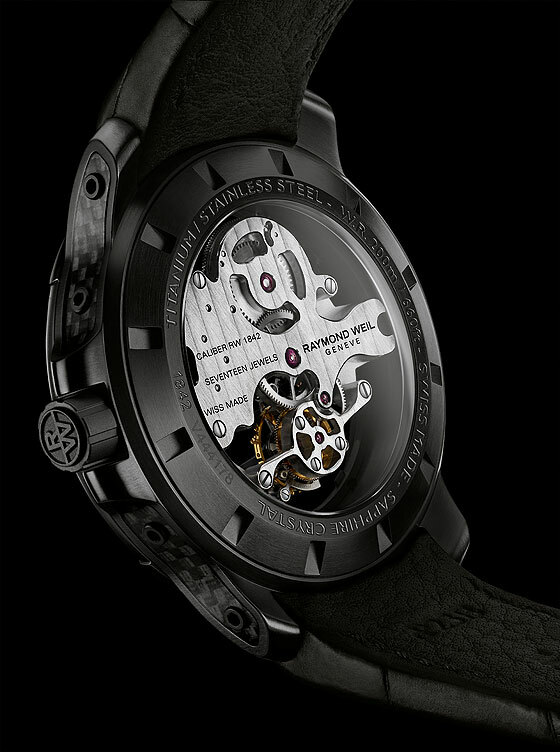 The musical elements of the movement, which Raymond Weil has dubbed Caliber RW1842, were conceived by the company’s in-house R&D department, which was established in 1999. 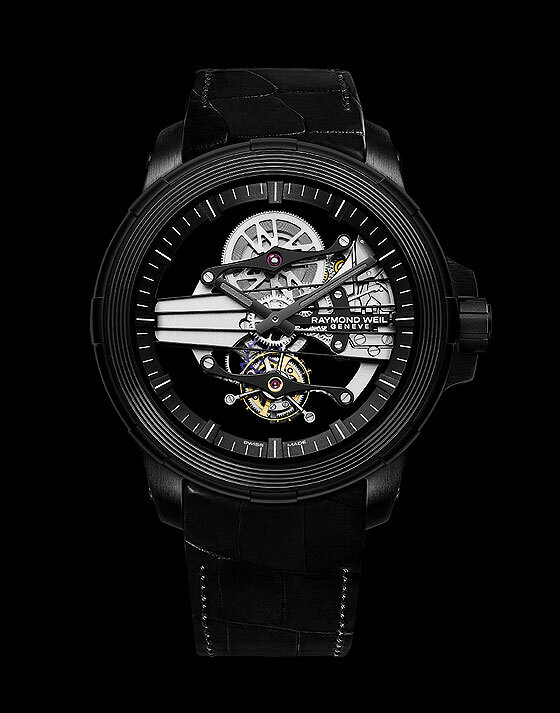 Last but not least, the price of admission to this exclusive musical opus is less than one probably expects: $39,995, around half the price of most high-end, Swiss-made tourbillon timepieces on the market — surely music to the ears of the 10 lucky collectors who manage to get their hands on one.